The group is searching for a wizard in a ruined city. He deserted from their settlement several months ago, and has already learned that there are both fiends and mind flayers inside the ruins. You can read the beginning here. In the third installment I will also make the adventure itself available. The group enters the big ancient guildhall of elven craftsmen and find a huge lump of blue resin-like substance with a robe clad elf inside on the second floor. Next to it lies the body of the wizard Corbian, who they were sent to find, along with his spell book, which contains a ritual – which Corbian created – that can release the elf. There are no signs of his men. Abbott – the warlock – finds the mind of the imprisoned wizard (he thinks), and communicates with him. They decide to release the wizard, with the ritual that takes an hour. While the wizard casts the ritual the rest of the team watch the surroundings. They are of course aware that something will happen. Unfortunately, as the ritual finishes, the gnome rogue watching the entrance has become lost in thoughts and fail to notice the attackers arriving, and an epic fight begins. A mind flayer and a gauth (beholder-kin from the new Volo’s Guide to monsters) burst through a large window at the end of a hallway, and via the staircase goblins attack from below with another mind flayer and another gauth. With liberal use of fireballs, wall of thorns and other spells, the group manages to defeat the attackers. Jarn, the paladin/ranger is stunned by a mind blast, and has difficulty making his save. At the end of the third round the resin bursts and reveals another 10 foot tall armored mindflayer – an Ilithor – an illithid war leader – of my own creation (you can find the stats here). It attempts to eat the dwarf in front of it, but he makes his saving throw, and the round after use a prismatic spray – and then the paladin, who was stunned for half the fight, has done an enormous amount of damage with Smites, and it falls. And after looting, we end the session. It was a very intense and fun encounter.Partly because of the many different attacks and enemies the characters had to fight – magical effects from the eye rays, gauths that explode on death and the danger of the mind flayer’s mind blasts and subsequent brain extraction. And partly because of the large battlefield, with several different features, which were used for cover and tactical maneuvers. The party used spells creatively and spent a ton of resources – which will become important. I would have liked the Ilithor to last one more round to really highlight how dangerous it was, but it was still very epic, and Korrick the dwarf was just one save away from having his brain eaten. I bought two packs of these minis. I had the wrong glue though, so had to wait until part III of the adventure to use them. I went to the board game and comics convention in Essen, Germany, a couple of weeks ago, and I came home with a bad cold, four board games, a couple of role-playing games and some new experiences. It was the first time I went to The Internationale Spieltage convention (or simply Spiel). It is the second largest in the world with hundreds of board games being demonstrated and sold. I wish I had been in better health, but I did manage to play a number of fun board games, and I will provide a brief review/introduction to a couple of them here. And also discuss the two RPGs I got. A stealth ninja game. It had some very cool mechanics, great miniatures and awesome flavor. I think the stealth mechanics works really well, and it plays well both with 2 and four players. Basically three ninjas have to infiltrate a location and complete a mission before the sun rises or the alarm sounds. One player plays the guard, and 1-3 players plays the ninjas. Each time they fail an action noise is generated, which advances both the time and the alert level, and allows the defending player more actions, guards and so on. We’ve only played it a couple of times, but it has depth, a lot of missions, and thus replay value, and it’s just awesome playing ninjas. If I have to point out some negative things it is layout and design of the rule book, which I think is hard to use for quick reference. The fact that the different cards you use only have two different backgrounds, when they are to be in different piles that you draw from at different times, is very annoying and finally that the design of the box lacks space for the counters. The board with witches and towers. Several of us bought this fun family game. Each player has two witches who has to deliver potions to a board full of wizard towers and dispel clouds to score points. The colour of the potions you deliver has to match the colours of the towers. There are no dice in the game, which is great. Each round each player gets to pick 4 out 10 cards, which you use to move your witches, gather new ingredients, produce potions and deliver the potions to score points. All the players have the same cards, and when the player who’s turn it is plays a card, everyone else who has picked the same card has to play it, which can really mess up your original plan. As your plans are often dependent on the sequence you play your cards, the game play is very much about figuring out what the other player’s intentions are and foiling them, or avoiding getting screwed by other people’s actions. The art is fun and attractive and the game play is simple, but has a lot of depth. 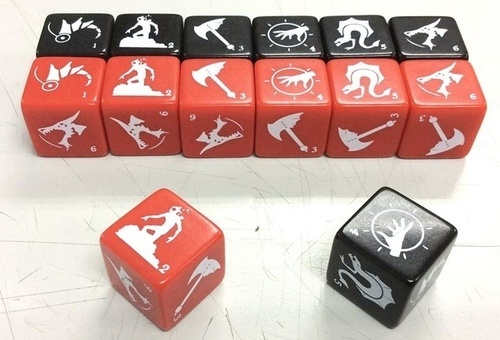 The dice that are evolving monster counters. I didn’t buy this very deep but simple looking game, and I only played it once. 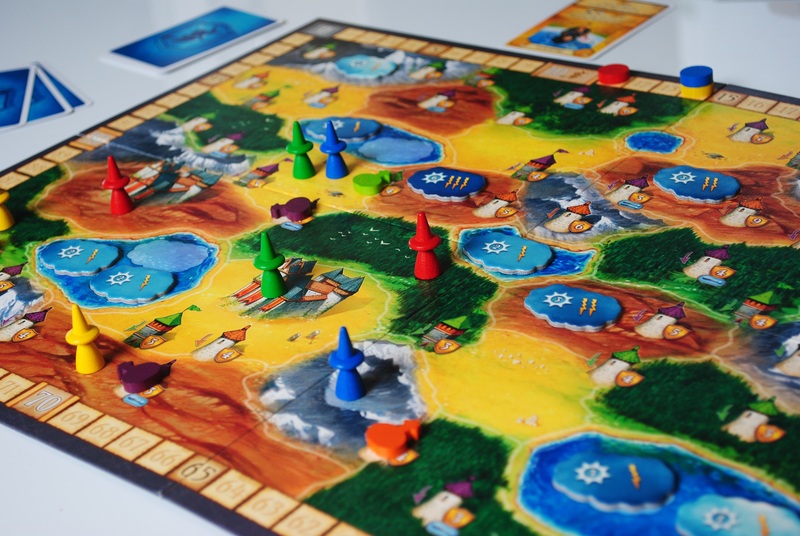 It is a two-player game, also without dice, and only takes 20-30 minutes two play. You play with 6-side pieces, basically dice you don’t roll, where each face of the dice represents a monster with special abilities on the simple square board. You score points by killing the other player’s monsters, and with each action you have, you can either move a piece or evolve it to the next level of monster. You quickly realize that the way the different abilities interact in play is simply brilliant, and results in a host of available strategies. It could easily be used as a chess-equivalent game in a fantasy RPG campaign. I highly recommend it. It turns out that Bram Stoker’s Dracula novel is in fact an old British intelligence report with all the really interesting parts removed. I bought two new role-playing games as well: Ars Magica (2004 for the 5th ed.) and Night’s Black Agents (2012). I know I won’t be playing them for a long, long time, but I took the opportunity to buy them anyway. 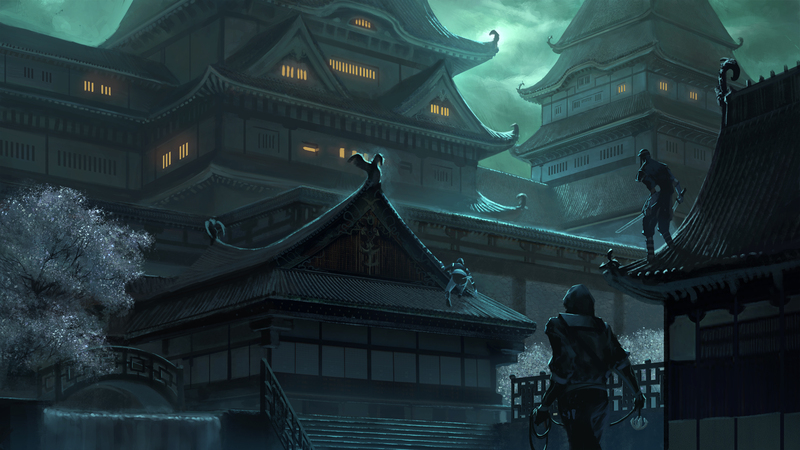 Night’s Black Agents is a thriller game with spies going up against vampires. Think the Bourne films or Ronin, but with big vampire conspiracies. Unlike the Vampire game from White Wolf, you can only play the human underdogs. 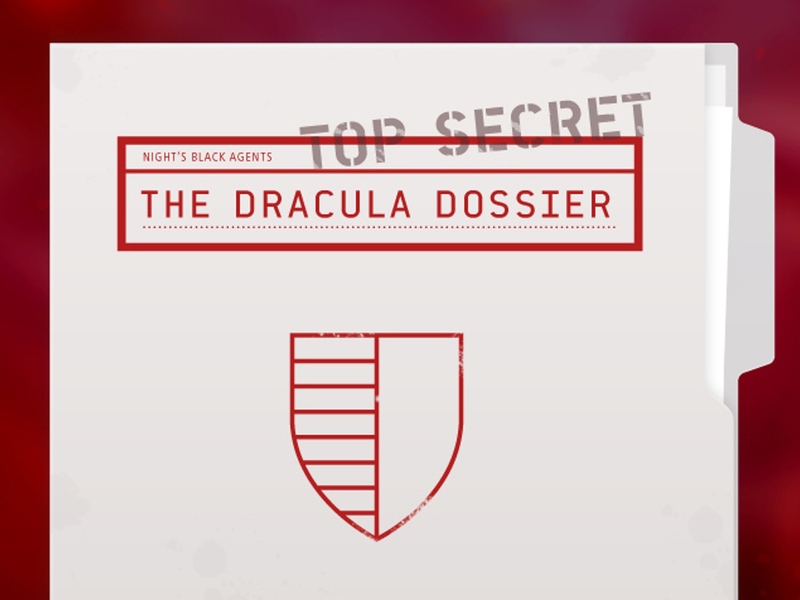 The reason why I really wanted to pick this up, was because I heard the author, Kenneth Hite talk (on this podcast), about his newly published campaign, the Dracula Dossier, and it is just really, really cool idea. You should check it out (here). Furthermore, it looks like the system handles investigation much better than the old basic roleplay version of Call of Cthulhu or the White Wolf games. It would still be at least a couple of years before I project my D&D campaign to finish, but a man can dream. Ars Magica speaks to my strong interest in history and in making long campaigns with big story arcs. But it would require a big effort from me to actually create the campaign I would want to play, and that won’t happen for several years. But the dream of a several years long campaign with every player having several characters and slowly developing their Chantry through the political and religious turmoil of the 13th century is very appealing. We were playing our sixth session of Temple of Elemental Evil, this time with only 4 players with 3rd level characters and the paladin was the only healer. At first they accidentally ventured down a sloped hallway to level 2, and saw the chained hydra and chained owl bear. They engaged the owl bear, and killed the troll keeper that came after with some trouble. They explored a bit, and established that there was at least one more troll in the area. Wisely, they went back to level 1, and found their way into one of the two ghoul lairs. This is where things got really interesting. The ghouls in 5th edition are nasty, as when you hit paralyzed characters it is automatically a critical hit. 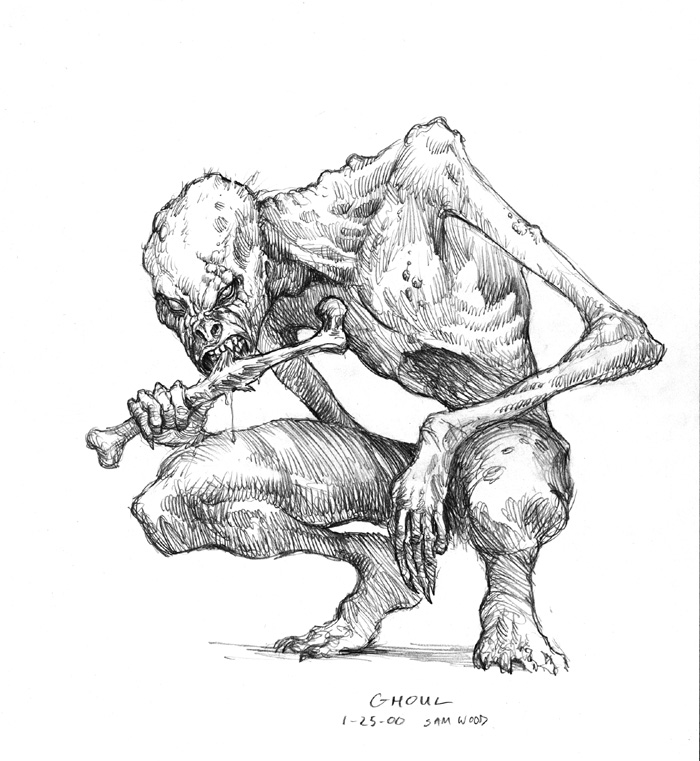 This illustration is from the 3rd edition of the D&D Monster Manual. It was one of the many encounters in the temple that quickly turns into several waves of enemies. In this case, one of the ghouls from the first room will run into the adjoining rooms and get help from its buddies. Furthermore, two cowardly ghasts will be watching from a third room, and join the combat if they are winning, but I decided to add the mechanic that if more than half of the four ghouls were alive after a couple of rounds the two ghasts would flee. Fortunately for the characters they killed the third ghoul by the end of round two, making the two ghasts flee. However, they flee through the room of the two boss ghasts, and these two will not back down from a fight (as described in the module). So severely depleted, with the barbarian at 1 hp, the monk had been down once already and with no more healing power or potions, they had to face two ghasts with extra hit points. It was clear it could turn ugly quickly. With the damage output of the ghasts, any of the players would go down with one hit, which would reduce their damage output, and further increasing the odds of more players going down. My first internal reaction was ‘crap! what do I do if I kill them?’ But then it dawned on me that it would be great if I wiped them out. Because, as you may have read here previously, I have a pool of around 12-14 players for this campaign, and I play with the group that shows up that evening (max 7 players). The area around the temple attracts a lot of adventurers, so it works out really well. It is very dynamic, and we get to see different group combos. Each session ends with the party returning to the surface. The rest of the adventurers stay at their base camp or in Hommlett, resting and planning their next raid on the dungeon. Had they TPK’ed, I would have sworn the players to silence, and their party would have been yet another group of adventurers disappearing without much trace in the dangerous catacombs beneath the Temple of Elemental Evil. 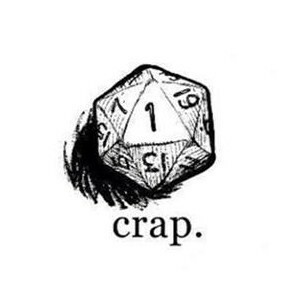 It would have created a fantastic motivation for the other players (and the TPK’ed players with new characters) to go and find out what happened, and perhaps find surviving captives, or avenge them, if they weren’t (I would probably have rolled randomly who survived). I could have them as sacrifices in the deeper temples, I could have them charmed or dominated, they could be torture victims of the cult leaders. And their magic loot would turn up in new places, adding a new dimension of investigation and interrogation, such as: ‘Where did you get this cloak? This was worn by our friend Ishmael the last time we saw him…? !’ The extra sense of danger in exploring the dungeons, when the players know a TPK can happen, would also add to the tension of the game. But I think it is fair to say that I don’t fear having a TPK in the future. I may even wish for it, a little bit. I want to provide context for my posts on rules and campaign setting, and I’m writing brief overviews of each session for my players anyway, so I’ve decided to post the chronicles of my campaign on this blog. With my Warhammer campaign coming to a close at around 90 sessions, where I have a few paragraphs on each session, I can see it is also a pretty cool thing to have when looking back at all the great fun we had. My campaign is fundamentally an exploration campaign. The realms of the East have been warring for 30 years against a dark empire named the Hrran Hegemony. The war is in a deadlock and the ‘good’ realms need resources, allies or some kind of joker to break the deadlock. Fortunately, the half-elves of the Isles of Finrod have found a new continent across the ocean. The largest human kingdom therefore sets up an outpost and has sent settlers there to establish a new realm, and to explore the lands for riches, magic and potential allies. The characters are among the second group of settlers sent there. The land where they settle is covered in deep forest. 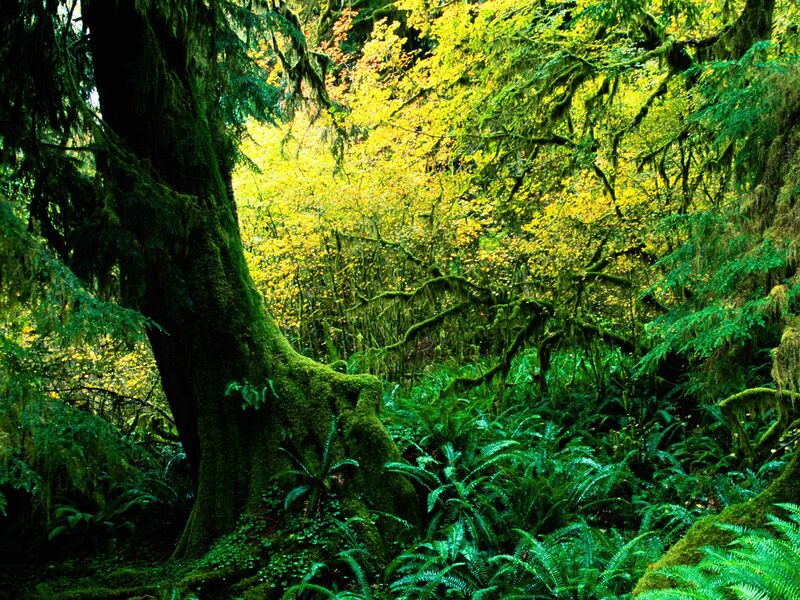 This is from a Washington state rain forest. All members of the adventuring group come from the realms in the East, which have a geography and technology roughly equal to early medieval Europe. They decided at the beginning to form a accredited Adventuring Company, which provides some advantages, but cost them resources. The dwarf bard use a bagpipe as his instrument. Fun, and great for attracting random encounters! The members of the adventuring group has various ties to each other, both are mostly not close friends. They embark on their journey at the Isles of Finrod, and sail across the ocean on one of three vessels (of course). After a few weeks they make a stop at Hope’s Pinnacle, which is a lone island with a huge abandoned castle built by giants, where a garrison and port has been built by the good nations. They stay a couple of days before continuing their journey. Close to land the ships are thrown into a storm and attacked by Kuo-Toa. The party fights them off, but after the storm dies down one of the three ships are missing. Meta: They drew random questions I had created, which they answered to create more backstory for their characters. 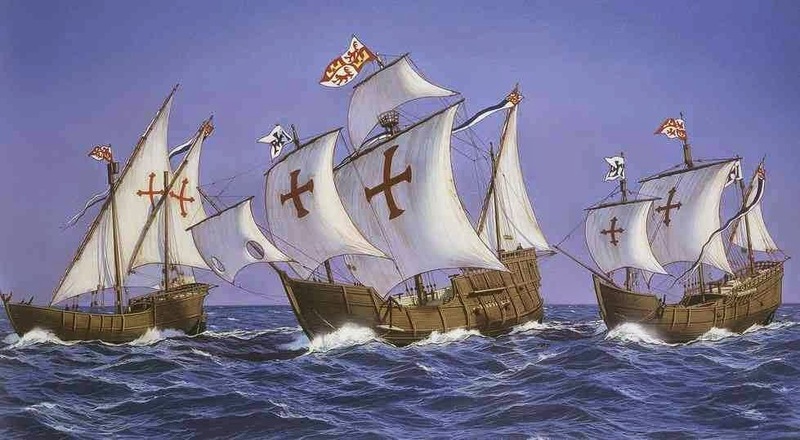 The ships of my campaign are similar to the far left ship, however sleeker, with more of a norse longboat element, and more elaborate elven carvings – and no cross on the sails. They arrive at the small settlement, which lies in a cove, next to a river, surrounded by a vast forest, and with a couple of gleaming white towers reaching above the canopy in the distance. They are greeted warmly, and introduced to some of the people living there, including the governor Erin de Vrin. But with a missing ship, the mood has a somber undertone. Next morning, the two adventuring parties available to the settlement are sent out to find the missing ship. The characters are sent north, while their ‘rivals’ are sent south. The group treks through the forest and at night are assaulted by a Displacer Beast, which they manage to slay. The following day they come upon a group of goblins, throwing stones and taunting a wounded elf captured in one of their pit traps. They drive off the goblins and rescue the elf. The elf has tattooed camouflage on his skin and he almost only use sign language. With some difficulty the druid Weylyn begins to communicate in the elven tongue with the tattooed barbarian, and recognizes that he speaks some kind of dialect of the elven language. They learn that a big winged beast roams to the north, and that he finds it very important to stay hidden. The next morning the elf has sneaked out of the camp. Using the wizard’s seagull familiar, they do spot the winged creature, which turns out to be a wyvern, and see its nest in a ruined tower. They decide to explore the tower while the wyvern is hunting at dusk. At the top of the tower in the nest of flotsam and bones, they find a couple of scrolls and a kuo-toa body. Welk and Horziver figure out how to destabilize the nest, and make a plan for attacking the wyvern when it lands, and hopefully drop to the bottom of the ruined tower. The plan succeeds and the party manages to overcome the wyvern without getting hit. At night, the carrion crawler that had hidden in the tower came out to feast on the wyvern. It was discovered, and the group killed it. Trekking further north they finally come upon a cove, where the lost ship is stuck on a reef. The cliffsides have many cave entrances, and they begin to explore. They find a body of a sailor, after chasing away two giant crabs, and in one of the caves they are attacked by many crabs, but rescue an exhausted guard from the ship, who hid in the cave. They bring her back to their camp, to give her rest and hear her story. At night kuo-toa emerges at high tide from one of caves and sacrifice a human to some kind of snake creature that emerges from the sea. 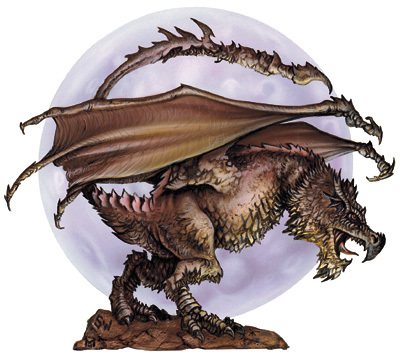 The Wyvern monster manual illustration from 3rd edition of D&D by the way. encounter. But the danger of getting hit by the poison stinger of the wyvern made it a tense encounter. It certainly displays the weakness in D&D 5th if you have large groups against single enemies. However, in this case, a hit by the wyvern on almost anyone of the 2nd level characters would either drop or kill them. I think it was fun, and when the PC’s dare something dangerous, the player’s feel great when they succeed.